We deal with established 20th and 21st century international masters some of which can be found on our artist page. While we traditionally prefer to make outright purchases for our gallery collection, we also offer to take artworks on consignment from sellers. Consignment agreements provide an attractive alternative to selling through the auction house system by eliminating the risk of compromised value if a work fails to sell. Additionally, it provides time to find the right buyer to meet your selling expectations. Based in the heart of St James’s, we are visited by collectors from around the world and can provide expert advice and professional marketing for your artworks. Our emphasis is on building long-standing relationships with our clients, sellers and consigners. Alternatively, we always consider works for immediate purchase. 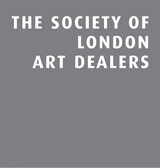 If you are looking to sell or consign an artwork from your collection or wish to learn more, please contact us to help evaluate your work and receive confidential and complimentary advice.